This Advent I am beginning (again) the practice of Centering Prayer. This time I am inspired by David Frenette’s fine book, The Path of Centering Prayer: Deepening Your Experience of God. In his work, Frenette develops the teaching of his mentor, Fr. Thomas Keating, the founding father of the contemplative prayer movement. Centering prayer is, in essence, a simplified, structured way of inward silent praying that consents to God’s presence and activity within the believer. You begin by sitting comfortably with eyes closed and invoke a sacred word or symbol that you have chosen to help you maintain your focus of attention. After actively consenting to God’s presence you maintain attentive receptivity by gently putting aside any distractions that arise from images, thoughts, sensations or feelings. You simply refocus on your sacred symbol or word. After a designated period of time you end your prayer with a moment or two of silence. This silent spiritual process can be a challenge, especially for beginners. Staying alert and attuned with silent receptivity to God may be naturally rewarding and restful for the human brain, but it also goes against the habitual operations of our busy, scattered minds. But David Frenette gives helpful guidance for all the questions that may arise in different stages of practice. He also gives witness to the spiritual fruitfulness of the quest. I too have become convinced of the power and effectiveness of this spiritual path. In my case, I’m also influenced by the findings of evolutionary psychology. While humans are incredibly gifted beings, they have also evolved in a competitive environment as hyper-vigilant and hyper-driven to survive through achieving safety, status and self-esteem. A built-in adaptive, non-conscious mind exists that is continually assessing the environment to note threats, opportunities or problems to be solved. We tend to intuitively create imagined scenarios in our heads rather than focus. Yet intuitively scattered thinking and feeling can become directed and controlled by dent of our higher conscious cognitive powers—but it takes effortful attention and practice. If and when you learn to direct and focus attention, you become able to direct thoughts and behavior for reasoned moral and spiritual goals. Unfortunately, automatic non-conscious processing is lazy as well as defensive. To gain the freedom to move beyond consuming, self-interested distraction takes perseverance. Yet it is a God-given power that develops with experience, practice and desire for the good. Since our non-conscious minds instinctively resist all threats to the self, its weaknesses have to be outwitted and outflanked by nonviolent, nonjudgmental, nudging, gentle silence. Otherwise we can become entrapped in inner conceptual analyses, justifying arguments and perpetuating anxious cycles of blame. Letting all these verbal distractions fade away, a silent prayer peacefully returns to centering in God’s encompassing love. 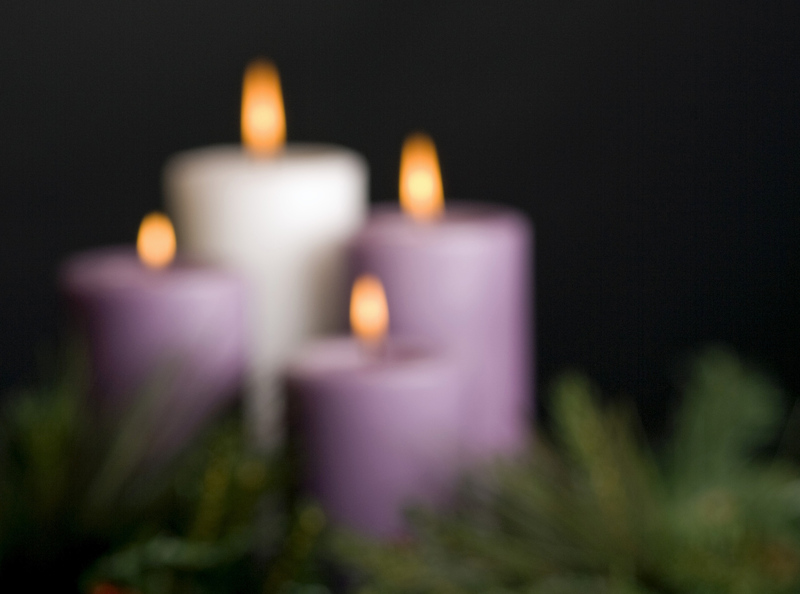 Advent faith, in the pregnant power of the Spirit, draws us on. Silent prayer works for those who have the time and perseverance to practice this form of prayer. However, God likes all forms of prayer and the daily practice of prayer is most important. There is a prayer of praise, honor and thanksgiving, petitionary prayer, prayer for vocations, for the souls of the faithful departed, prayers for our family and friends and those that are poor and disenfranchised. There is the prayer for humility, generosity, ministry, self-denial, charity, transformation and prayers of worship et al. I tried silent prayer but after 10 hours in the office and transportation home, after dinner and playing with my children, giving time to my wife….I found that I had limited time to retire to another room with the door closed for 30-60 minutes of silent prayer. I found that the hour drive to my office early each morning was a great time for prayer. Now that I am retired, I have settled for other forms of prayer and works. Not everyone is suited to silent prayer, and one does not move closer to God, ipso facto, by silent prayer. This does not minimized the benefits of silent prayer, but as I said, God likes all kinds of prayer. For those that can practice silent prayer, I say: Thanks be to God and May His Will Be Done Through You.